HI Iberia Ingenieria y Proyectos SL is a Software Development SME founded in 1999 and integrated into HI-IBERIA group (HI Iberia Ingeniería y Proyectos SL, Seaplace SL and Howards Ingeniería SL). HI-iberia main areas of expertise are: User Profiling, Knowledge discovery, Contextual-generation based on Smartphone information, User Interfaces for usability and accessibility, Natural language processing, Multi-device applications development, Semantic framework, Recommendation engines /rules engines, Big data analysis, machine and deep learning techniques. 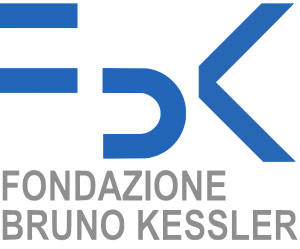 Fondazione Bruno Kessler (FBK) is situated in Trentino, a North East Italy region governed under a special autonomy statute. With more than 350 researchers, FBK conducts research in the areas of Information Technology, Materials and Microsystems, Italo-Germanic studies, and Religious studies. FBK participates in and leads several FP7 projects. The Centre for Information Technology at FBK focuses research on Software Systems, Knowledge Management and Next Generation Internet (ontology and semantic Web) with a bias towards application. The autonomous province acts as a pilot customer for service-oriented projects, providing experimental evidence on benefit, cultural growth, and welfare improvement. FBK research aims at promoting innovation through a networked system that involves companies, other research institutions, universities, public bodies, and end-users within the province as well as internationally. The Centre for Information Technology at FBK is organized in Research Units that contribute their competencies to the project. Research and innovation in the field of Medical Informatics, in fact, is the core business of one of the FBK electronic-Health Research Unit (eHealth), an interdisciplinary research group that studies methods and models for the design, implementation and evaluation of prototypic applications and ICT-based innovative services supporting the management of data, information and knowledge in healthcare domain. 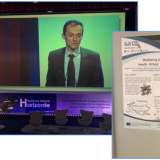 The two main research themes are eHealth applications and services supporting a model of care centred on citizens and patients (Patient-centred eHealth), and models and applications aimed to healthcare professionals (Clinical e-Health) for supporting high quality care process. The University of Copenhagen (UCPH) is the largest and oldest in Denmark and has a long tradition of ground-breaking research in exact sciences. The Department of Computer Science (UCPH) was founded in 1970 by future ACM Turing Award winner Peter Naur, a pioneer in programming language design and implementation. The department has attracted significant funding from multiple national and international sources, including EU projects (e.g., GHOST), the Danish Advanced Technology Foundation (e.g., 3gERP) and the Danish Councils in Independent and Strategic Research (e.g., TrustCare, WallViz, HIPERFIT). In addition, UCPH has setup a “Data Science” as part of its strategic plan, which is positioned to also have substantial synergy with the proposed project. 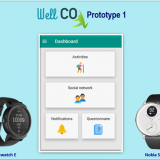 The UCPH contributes to WellCo with its QoL technologies lab (QoL) led by Prof. Wac. The QoL lab is researching how emerging sensor/actuator-based mobile and wearable technologies can be leveraged for a personalized assessment of the individual’s behavior and Quality Of Life (QoL), as they unfold naturally over time and in context, and improvement of the latter. To date, the QoL lab has researched ways of assessing and modeling of individual’s mobility, physical activity, public transportation usage, sleep quality and quantity, as well as physical safety and security (via an intimacy perception), stress and productivity patterns. The QoL Lab has also expertise and experience in smart-home instrumentation, as well as development of avatar-based interfaces, while taking advantage of emerging sensor/actuator-based technologies. Jožef Stefan Institute (JSI, http://www.ijs.si), founded in 1949 and employing around 1,000 staff, is the leading Slovenian institution for research in natural sciences and technology. It pursues research, development and education at the highest international level of excellence. It has a long tradition of collaboration with research organisations and industry across the globe, participating currently in over 300 international projects. This proposal version was submitted by Inmaculada LUENGO on 31/01/2017 16:43:28 Brussels Local Time. Issued by the Participant Portal Submission Service. The Department of Intelligent Systems (DIS, http://dis.ijs.si) conducts research on artificial intelligence and develops intelligent computer systems. 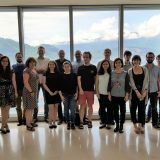 It employs over 30 full-time researchers and part-time collaborators, most of whom have training in computer science. Our foremost areas of expertise are machine learning, data mining and decision support, where we use approaches based on data and expert knowledge. We also work on optimization, multi-agent systems, speech and language technologies. Our most important application domains are health and ambient assisted living, where we specialise in understanding human behaviour and psychological state using wearable sensing devices, smartphones and voice analysis. Among our achievements in this area is the victory at the international EvAAL competition. We also develop systems for diagnosis, risk assessment and wellbeing. Our diagnostic methods were employed by a system placed in the finals of the 10-million-USD XPrize Tricorder competition. DIS has extensive experience with European projects and is currently involved in five H2020 projects, coordinating one of them. We are not only researchers, but also have software-engineering expertise, resulting in a number of intelligent applications for end-users from the industry and general public. CCARE designs and develops innovative solutions for digital care collaboration. CCARE was founded in 2010 as a spinout from Delft University of Technology in order to accelerate the transition from academic research in ambient assisted living to commercial application. The ConnectedCare collaboration platform is now commercially used by care organizations in The Netherlands, new concepts are currently under development. The key expertise areas include user-centred design, from the early phases of the design process to the final product evaluation, concept development and interaction design, software development and prototype building, and business development. Gerencia de Servicios Sociales de Castilla y León, GSS, is the competent Public Body on Social Services, belonging to the Ministry for Family and Equal Opportunities, being responsible for the design, planning and management of the entire Social Service System in the region of Castilla y León, Spain. GGS is the relevant authority for the adoption of measures oriented to the implementation of the social services policy: the regional planning and its development, including the creation, organization, maintenance and management of programmes, services, facilities and resources. 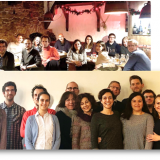 GSS is competent for the design, coordination and implementation of policy and legal framework backing the elderly care in the region of Castilla y León. Particularly GSS promotes the prevention of dependency and promotion of independent living through the delivery of services addressing the enhancement of active and healthy lifestyles, supporting assistance to the activities of daily living, integrated social-health care services and promoting the creation of innovative community procedures such as Life Plan, Fight Against Loneliness and Intergenerational Volunteering. We have a solid commitment on promotion of active aging and prevention of dependency through integrated care service for the elderly, coordinating the action of public and private entities as well as senior associations. Fundación Acción Social y Tutela de Castilla y León, FASTCyL, is a public foundation, acting as a linked third party to Gerencia de Servicios Sociales in this project. Monsenso is an innovation leader in personal health technology. Monsenso offers comprehensive mHealth (mobile health) solutions that support and optimise the treatment and self-management of mental disorders such as bipolar disorder, depression, schizophrenia and borderline personality disorder. Our mission is to empower and inspire researchers, clinicians, and patients to overcome the burden of mental illnesses. Built on a foundation of continued clinical research and development, Monsenso is committed to developing comprehensive solutions that fit seamlessly within the lives of individual users, and increase the quality and the effectiveness of their mental health and treatment. Monsenso was founded in 2013, with the MONARCA project. 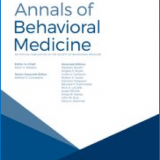 The MONARCA project was an extensive technological and clinical research study that examined the use of wireless & mobile technology for the treatment of bipolar disorder. With strong dedication to user-centered innovation, the Monsenso Solution has been designed to be both easy and user friendly for both patients and clinicians, while simultaneously employing advanced sensor technology for extensive behavioral data collection and analysis. University of Southern Denmark: The Research Unit of General Practice, Department of Public Health, at the University of Southern Denmark comprises more than 80 employees. The primary fields of research are: chronic diseases/multimorbidity including prevention, organisation of general practice, symptoms, healthcare-seeking and diagnosis, medical risk analysis- , communication and cancer rehabilitation. 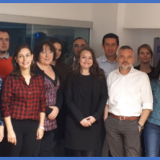 The Research Unit of General Practice hosts a multi-professional research environment with extensive experience in managing large population-based interventions. 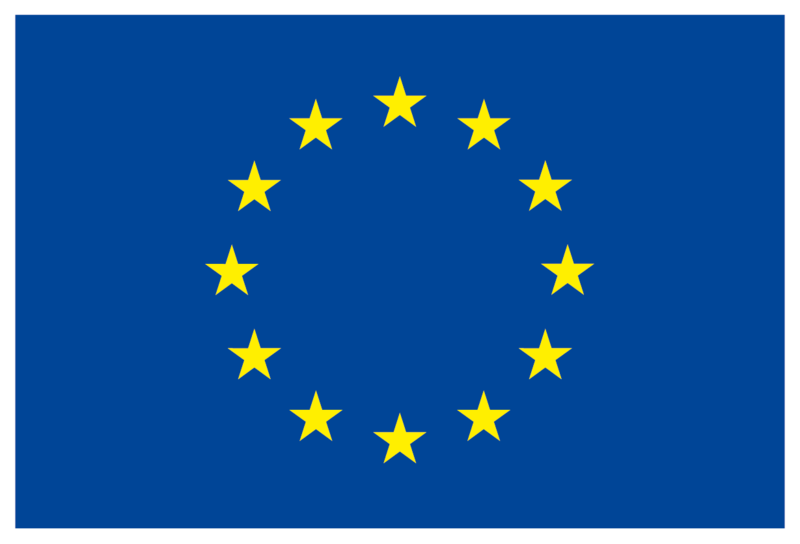 Audit Project Odense (APO) the affiliated EU project HAPPY Audit and the EU project SPIMEU are among the Research Unit´s activities. Furthermore the Region of Southern Denmark has based the Practice Liaison Program and the Quality Development Consulting in proximity to the Research Unit. The Danish quality Unit of General Practice (DAK-E) and a General Practice clinic are also present in the same building.